0 | 34 students enrolled. When planning personal finances, the individual would consider the suitability to his or her needs for a range of banking products or investment private equity and insurance. This course intends to train you to become financially independent. You will learn how to plan for your future, financial planning for a newly married couple, plan for your child’s future and planning for your pension. 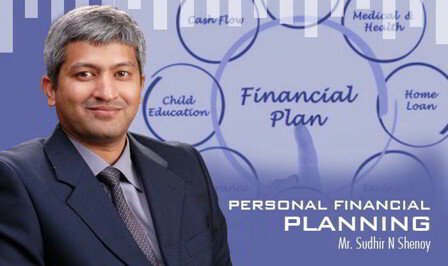 Personal Financial Planning course by Elearnmarkets intends to create awareness about the need and the criticality in the minds of the audience for having a well thought out financial roadmap early enough in life, the actions to be taken and the timing of the various actions to be taken, to impress upon the participants, that they need to commit a part of their time to plan, execute and periodically review the financial aspects of their lives in order to reap the benefits and avoid financial pitfalls in the journey of life. Life Insurance and Why it is needed? What is Retirement and Why do people retire? How much to invest for your Goals? The student has to appear for an examination hosted on the website itself under “Test section >> Certification Test"
Once the student successfully clears the examination, the certificate of completition will be generated. Qualifying Marks: 40% . No negative marking for this course.